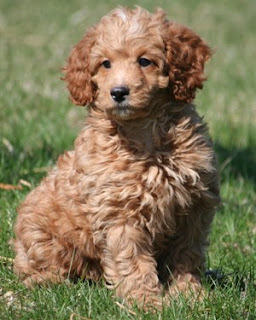 The Poodle is actually a group of breeds which includes the Standard Poodle, Miniature Poodle and Toy Poodle with many coat colours. Though he is often misrepresented as being 'posh' and highly strung, his remarkable intelligence, athletic body and sensible good nature has seen the Poodle used throughout history in all kinds of jobs - war dog, circus dog, police dog, guide dog, service dog, companion dog. The Poodle is skillful in many dog sports, including agility, obedience, tracking, and even herding. The Poodle is believed to have originated in Germany, where it was known as the Pudelhund meaning "splash in the water” dog, a reference to their work as water retrievers. The breed was later standardised in France and due to its popularity, the Poodle became established as its national breed. The European mainland had known the poodle long before it was brought to England. Drawings by German artist Albrecht Dürer established the popular image of the breed in the 15th and 16th centuries. 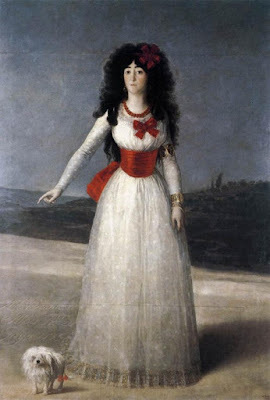 It was the principal pet dog in late 18th century Spain, as shown by the paintings of the Spanish artist Francisco Goya. France had toy poodles as pampered favourites during the reign of Louis XVI at about the same period. The poodle has been bred in at least three sizes, including Standard, Miniature, and Toy. The Standard Poodle is the oldest of the three varieties, and was later bred down to the miniature and toy sizes. Traditionally the Standard Poodle was a retriever or gun dog, used in particular for duck hunting. The modern Standard retains many of the original traits: a keen working intelligence that makes the dog easy to command, webbed feet that make it an agile swimmer athletic stamina, and a moisture-resistant, curly coat that acts like a woolly jumper in damp conditions. Towards the second half of the nineteenth century their use in hunting declined in favour of their use in circuses and status symbols of the wealthy, so that by the 20th century they were only found as companions or circus dogs. Members of the second variety, the Miniature Poodle, had ancestors that were originally never said to go anywhere near the water. Truffle hunting was widely practiced in England, and later in Spain, France, and Germany. For scenting and digging up the fungus, the smaller dogs were favoured, since they did less damage to the truffles with their feet than the larger kinds. Otherwise, the Miniature and Toy varieties remained largely the lap dogs of middle and upperclass ladies, especially in France and the UK. The trade in dyeing and affixing their fur to unusual proportions began with the need to complement the Victorian and Georgian sensibilities. Their status as a dog of the middle and upper classes was quite solid by the time of the founding of the Kennel Club in the 1870s as they were one of the first dog breeds registered. Poodles have been used as working dogs in the military since at least the 17th century. In 1942, the Poodle was one of 32 breeds officially classified as war dogs by the Army. The toy and miniature types are by far the most popular of the three types today. Toys stand under 28cm, similar in height to a Maltese; whilst the Miniature may be about 10cm taller, like a Fox Terrier. The Standard Poodle is a medium to large-sized dog, standing well over its smaller cousins. 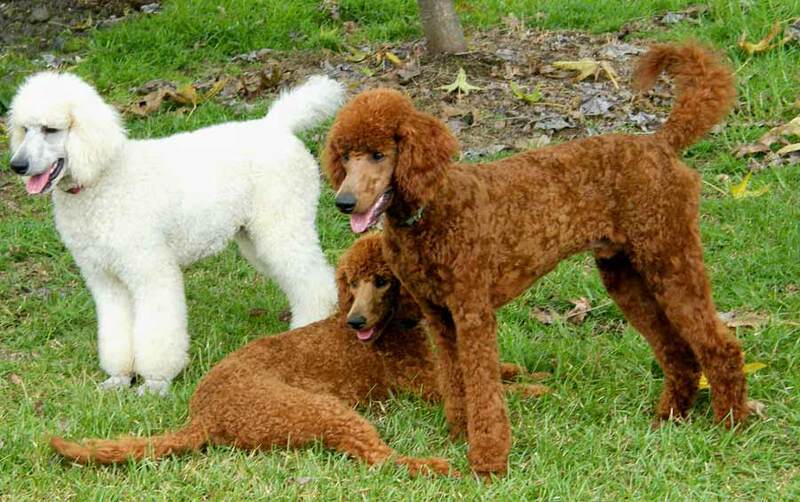 The Poodle can be any one of many solid colours including blues, creams, whites, apricots, reds, silvers, blacks, browns. Any Poodle that is not a solid colour at maturity (2 years) is said to be "mismarked" and this may indicate it is not a purebred Poodle. Both grey and silver Poodles are actually born black and they will gradually fade to grey over a 2-year period. 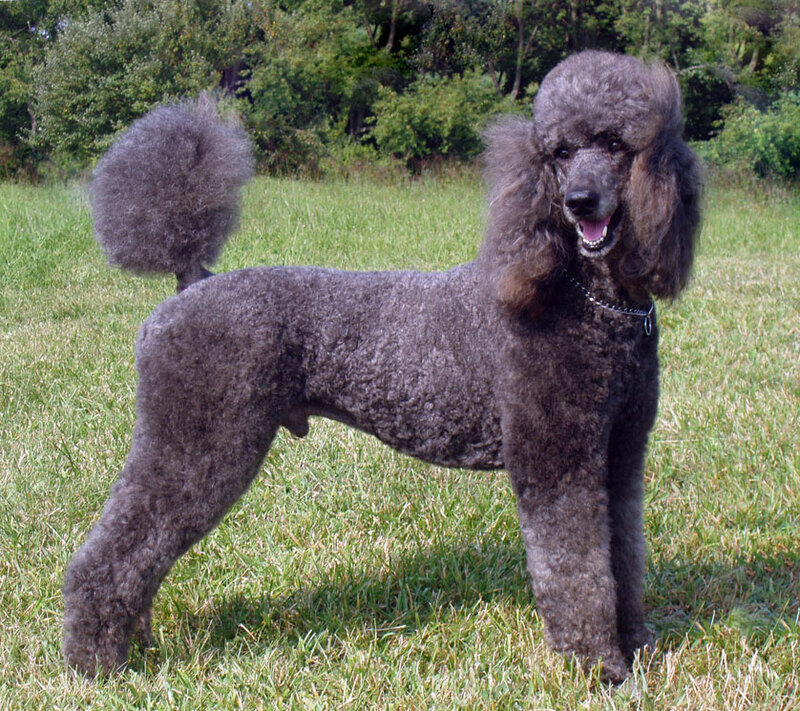 It is the Poodle’s coat that sets it apart from many other breeds. Thick, curly and dense, it has a woolly appearance rather than furry and doesn’t shed. If left unclipped, which is not recommended, this woolly coat would normally conceal the dog’s fine-boned form. 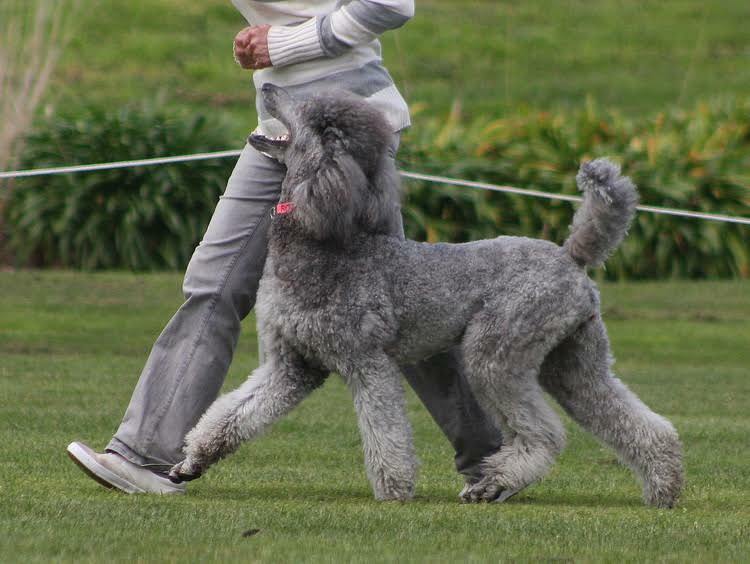 Slender built with sharp, well defined features, the poodle’s frame used to be shown off with those elaborate clipping styles which once associated the breed with the well-to-do. These clips are now really only commonly seen in the show ring. For the full breed standards, please visit the ANKC website. A well-bred Poodle is highly intelligent and usually very co-operative. It is easily trained using toys and training rewards to make the process fun. Its empathetic nature and joy in engaging with people makes him a natural for visiting people in nursing homes, hospitals, and schools and Poodles make wonderful therapy dogs. Poodles are active dogs, but the smaller dogs need less room and less exercise. Toy and Miniature Poodles are often the companions of people who are less active and can be extremely happy as lap dogs and TV-watching buddies. Despite their playful attitude, poodles are regarded as the second most intelligent of dog breeds (after the Border Collie). They love human companionship and will often form close bonds with one member of the family, usually the provider. This can produce a loyal and easily trained companion, equally ideal for those living alone or with a family. However, an intelligent dog is an easily spoilt dog, and a spoilt poodle can be a force to be reckoned with. The breed should simply not be over-pampered and must be treated with an even-handed approach, maintaining a reasonable level of discipline and common sense. Of the three varieties, this is perhaps more so with the Toy, which due to its small stature, is prone to developing a nervous and unpredictable manner if handled roughly or antagonised, a problem most often seen when in a family with small or boisterous children. Whilst Poodles make excellent watchdogs and will naturally alert you when strangers arrive at your home, they should quickly become calm and accepting if and when you tell them to be. Obedience training, at least to a level so that the dog understands essential basic commands, is recommended. Breeders generally agree that the Standard is the most stable of the three, though requires the most exercise. The Miniature is most common among families. If you’re after a low maintenance dog which requires little grooming, don’t choose a poodle. 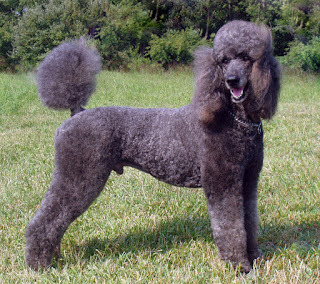 The fine, curly coat that worked well when the Poodle spent his time in the water needs to be clipped regularly, typically about every 5 to 6 weeks, depending on his owner’s preferences. If allowed to grow long, the coat will mat and it requires regular brushing at home, even with professional grooming. Those elaborate clips displayed on show dogs are not essential, and a simple ‘lamb clip’ is all that is required. Owners can learn to clip their dogs, however a professional clipper is recommended for the first year, until the dog becomes accustomed to the practice. Clipping will cost around $30 to $100, depending on the size of the animal and the establishment. This regular cost should be considered before purchasing the dog. Dental care is important, particularly for Toy and Miniature Poodles. Keep on top of it by brushing teeth with a dog toothpaste and having a veterinarian do regular dental checks. Any long-eared breed with a large covering of hair is also prone to a build-up of wax and grime in the ear canal, which may result in infections if not cleaned regularly. Trim the nails as needed, usually every week or two. They shouldn’t get so long that you can hear them clicking on the floor. The Poodle is a fairly healthy breed but may still suffer from some various conditions which are common with many breeds of similar size. The process of miniaturisation can lead to problems of overcrowding of the teeth in the toy variety. Both Toy Poodles and Miniature Poodles may suffer from luxating patella - where the kneecap moves out of its natural position. This condition can be corrected surgically and the likelihood of its incidence can be determined by a veterinarian. Eye disorders, such as Progressive Retinal Atrophy (PRA) are known to occur amongst the breed, but can, and should, be tested for by breeders prior to breeding. Hip Dysplasia, a chronic condition affecting the hip joints, is also evident in the Standard Poodle. A responsible breeder would not use animals affected by these conditions, so be satisfied you are purchasing from a reputable breeder. 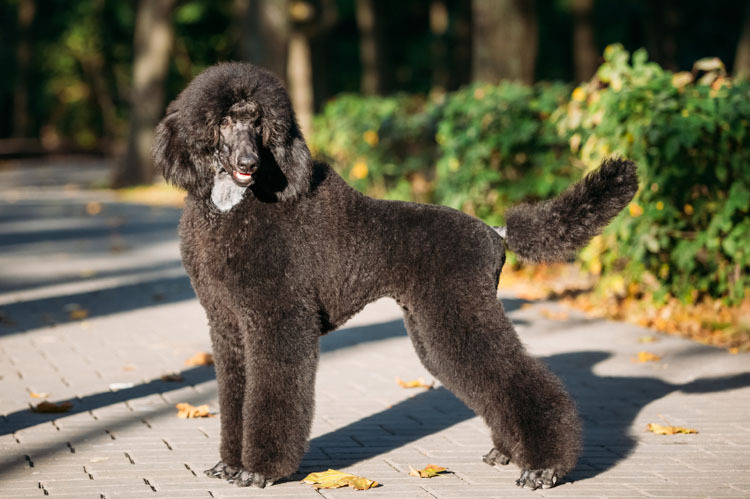 The deep chest of the Standard Poodle may predispose it to bloat – a gastrointestinal condition associated with overfeeding or feeding at inappropriate times. New owners should consult with breeders to discuss dietary requirements. Healthy, well-maintained poodles will live a long life, around 15 years. The two smaller varieties are popular indoor dogs with the added benefit of having a non-shedding coat, an advantage for some, though not all, allergy suffers. 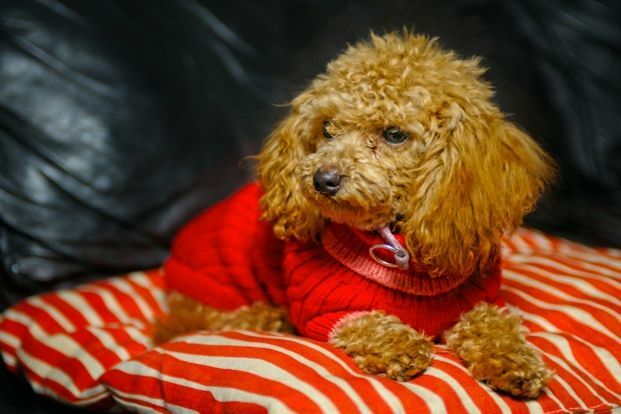 The Poodle’s habit of bonding closely with their owner really makes the breed ideal for single owners and the elderly, as long as the owner is prepared and able to maintain the dog’s coat. Treat your poodle right and you’ll have an adoring, intelligent and stable companion for many years to come. 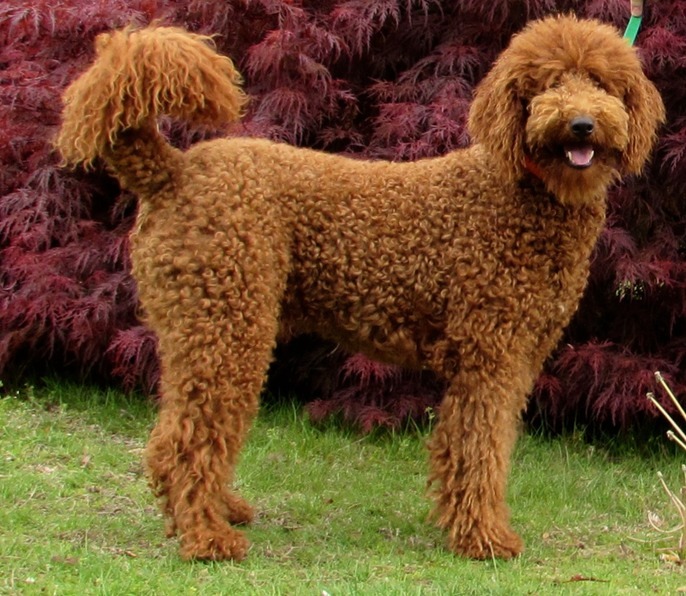 Mismarked and parti poodles are not cross breeds they are purebred poodles as are phantoms. The parti poodles (white with patches of another colour) are the original poodle. It was only in the early 20th century that the solid colours became preferred as the standard for the breed.